When you’re planning a meeting or event lasting more than two or three hours, the question of sustenance will have to enter your equation. Sooner or later we all have to eat, and the availability of food may impact whether people decide to attend. You could schedule a lunch break, but then your rented meeting space will sit idle. Plus, your attendees will have to leave the venue and return. Some might not even come back if your afternoon agenda doesn’t include something on par with a George Lucas meet-and-greet. Or you can hire a traditional caterer, but a better option may be a food truck catering. Consider these benefits.most of the time the food is not so exciting. Do you pass the cost on to your attendees? Who wants to pay for lunch in advance without knowing the menu? What about food allergies? Not to mention, does your venue have facilities to prepare and serve food? Will you have to pay extra to use them? Variety. Your attendees will have a wide selection of hot and delicious cuisines in a relatively small space. And given six or more trucks, someone with dietary restrictions will be more likely to find something they can eat. Convenience. 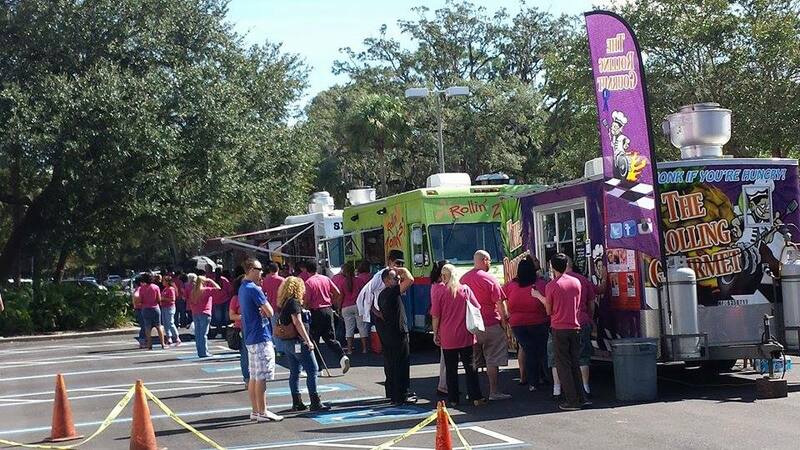 Food truck catering brings restaurant row to your event—no need for anyone to leave. Some food truck rallies allow you to purchase a single voucher that you can use at any food truck. Interaction. While waiting for their orders, your attendees get to meet each other informally. This can be a networking opportunity for them. Efficiency. If your venue allows food and beverages inside, the lunch break can be minimal—thirty minutes or so to order and pick up the food. Then your attendees can come back to your meeting to eat while you continue your agenda. Now would be a good time for something simple like a video summarizing the morning’s key points—which allows you to slip out and grab an empanada before the trucks leave. The nonfood costs of a food truck catering can vary, but sometimes all you need to provide is space for the trucks to park. Check with your venue.